This chapter is divided into two parts. The first part, “Quantitative Mapping: What, Where, When and with Whom?” relates to the quantitative findings from the questionnaires, showing how and with whom participants spend their free time, the frequency of these activities, and the amount of time spent on each. The chapter presents tables with descriptive data regarding activities, revealing that participants performed a wide array of free time practices in either the private or public domains, alone or with other people. These included sport, media activities, outings, personal care, family time and socializing. The second part, “Subjective Mapping: The Hierarchization of Free Time”, focuses on subjective meaning relating to the hierarchization of free time as described by participants. This term refers to the ways in which individuals assess and classify their free time according to the perceived value of a practice. 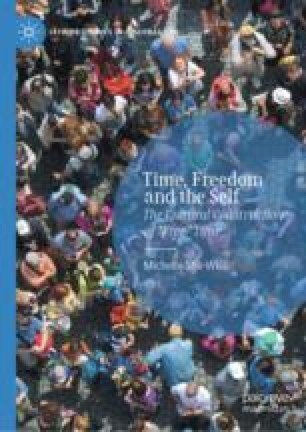 The chapter inquires into the experience, motivation and evaluation of free time, exploring positively valued and desired free time practices. It looks at why certain activities are experienced as such as well as examining responses to hypothetical questions related to potential, imagined free time. American Time Use Survey (ATUS). 2017. American Time Use Survey-2016 Results. Bureau of Labor Statistics. https://www.bls.gov/news.release/pdf/atus.pdf. Accessed July 2017. Central Bureau of Statistics (CBS). 2014. Volunteering in Israel—Selected Data from the 2013 Social Survey for the International Volunteer Day [Hebrew]. http://147.237.248.50/reader/newhodaot/hodaa_template.html?hodaa=201419330. Accessed Feb 2015. OECD. 2016. OECD Family Database—Social Policy Division—Directorate of Employment, Labour and Social Affairs. http://www.oecd.org/els/family/database.htm. Accessed July 2017. Parker, Kim, and Gretchen Livingston. 2017. Six Facts About American Fathers. Pew Research Center. http://www.pewresearch.org/fact-tank/2017/06/15/fathers-day-facts/. Accessed July 2018.